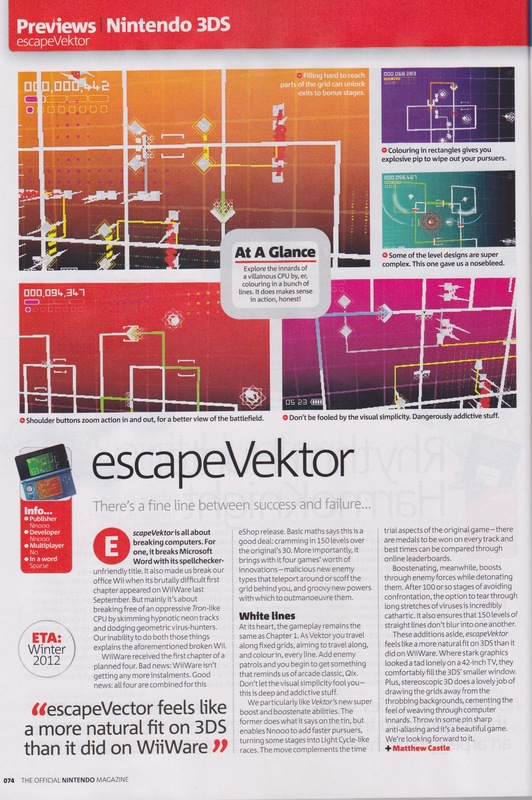 Official Nintendo Magazine has previewed both Spirit Hunters Inc and the 3DS version of escapeVektor. 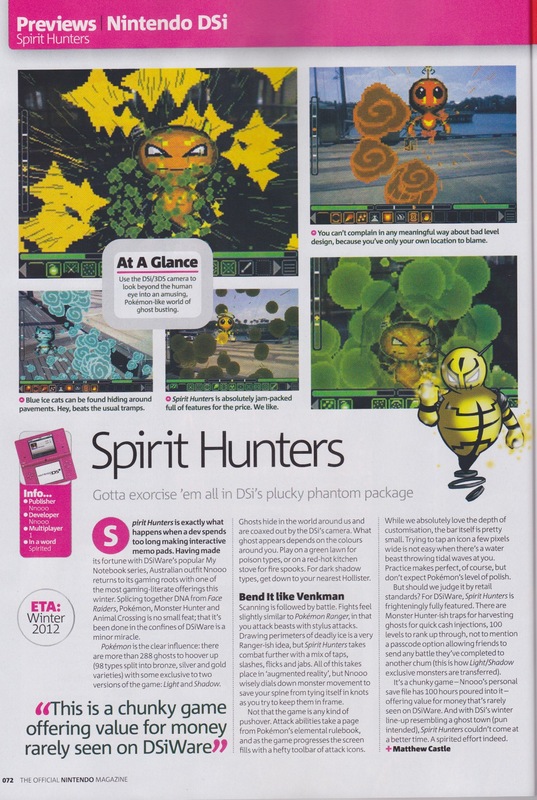 Of Spirit Hunters Inc the preview says, “This is a chunky game offering value for money rarely seen on DSiWare.” escapeVektor is described as “a beautiful game”. Take a look at both previews below. 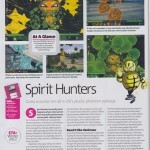 You can get your hands on Spirit Hunters Inc from November 22nd. It will cost 800 Nintendo DSi Points on the Nintendo DSi Shop and US$7.99, €8 or AUS$12 on the Nintendo eShop. 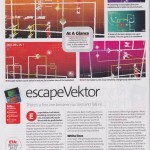 We’re finishing off escapeVektor now and hope to have it released by the end of the year. Click on the images to enlarge and click on them again to zoom in. Official Nintendo Magazine is packed full of Nintendo goodness, so if you’re a Nintendo fan we’d highly recommend you buy a copy. This entry was posted on Wednesday, October 10th, 2012 at 10:10 am	and is filed under news. You can follow any responses to this entry through the RSS 2.0 feed. You can leave a response, or trackback from your own site.